Press the below button to complete your Trial Pay order! Find your photos instantly with Daminion, the professional photo cataloging application aimed at creative pros and small teams. Available as standalone and multi-user server based versions. Search using multiple tag combinations from over 50 predefined including: keywords, description, date-time, rating, camera, lens and others. 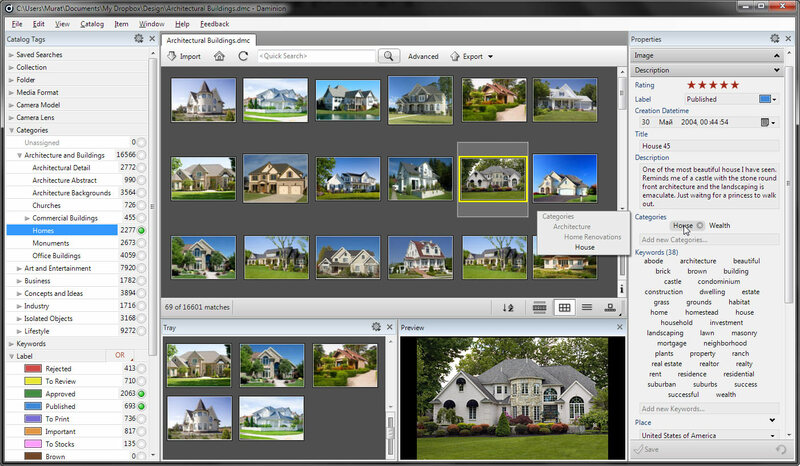 Daminion is an Inexpensive Digital Asset Management System (DAM). Ideal for Small Teams. I REALLY like Daminion. I find it very easy to use, very fast, and extremely flexible. I keep telling my friends about how much I like it!